Stanton School was privileged to be invited to the House of Lords on Thursday 11th June to attend the UK Leadership Academy of the Year Awards an awards ceremony on behalf of Sports Leaders UK. This is a prestigious Award to recognise best practice within the UK. 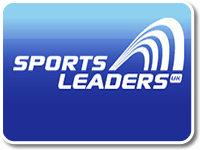 Over the last few years Stanton has worked hard implementing Sports Leaders awards throughout the school and we are pleased to announce we have been awarded third place out of all primary schools in the United Kingdom. The award was presented by Sports Leaders UK President - Baroness Grey-Thompson DBE. This is an amazing feat and we are proud of Miss McDonnell and all the children involved!